Our Twitter feed was flooded with Bieber news yesterday, and we were secretly fascinated by all the hashtags generated in the space of just a few hours. We’ve put together a list of the most popular hashtags that were trending worldwide. Soon after the news broke, Twitter was flooded with tweets about the arrest. These tweets were quickly followed by mug shots, internet interpretations of the events and what will probably be a popular Halloween costume this year. Of course, the Beliebers didn’t disappoint, with #SupportBieber, #WeWillAlwaysSupportYouJustin, #FreeBieber, #PrayForJustinBieber (amongst others) trending on Twitter worldwide. 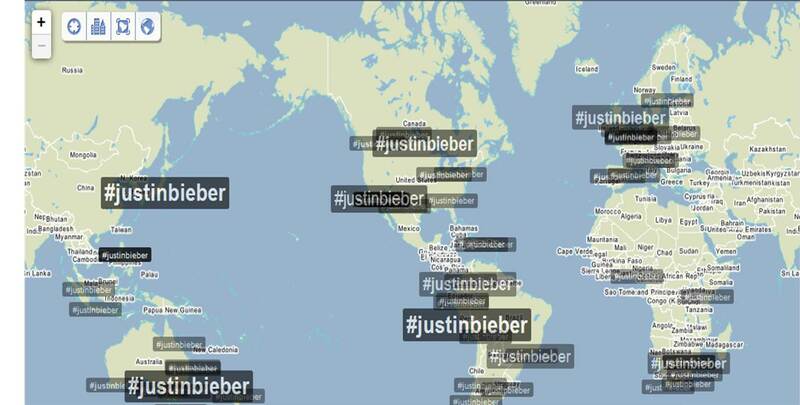 And then, at some point, tweeters started wondering about Bieber’s legal status in America. Did we miss anything? What Bieber hashtags caught your attention yesterday? Are Justin Bieber’s antics affecting his career? Guess who’s a Belieber? Metallica, that’s who!